OVER £500 RAISED FOR CHILDREN IN NEED IN 1 1/2 HOURS! We took on a last minute challenge tonight to raise funds for Children in Need. 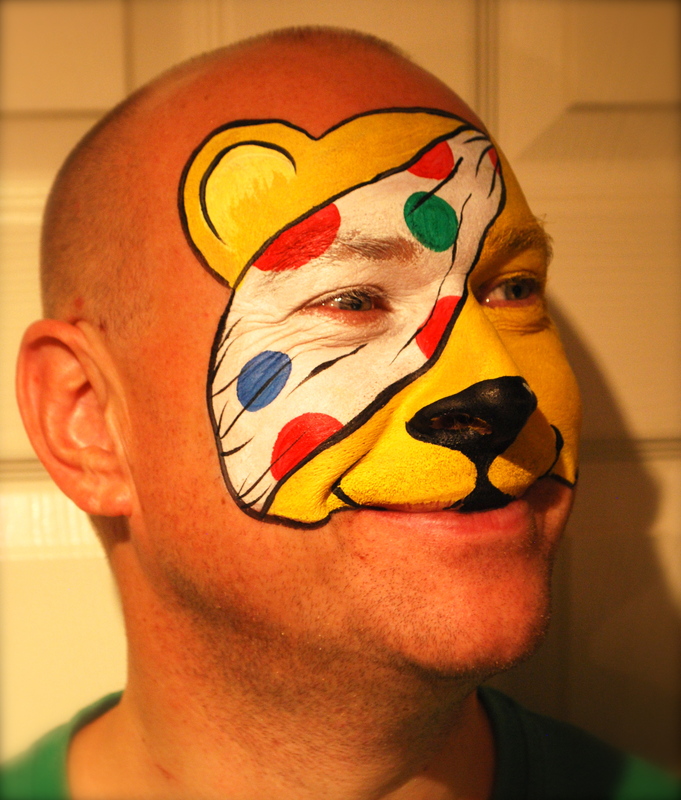 Two of my friends at different ends of the country challenged me during a Facebook chat to paint my husband, Russell Guest, Sales Director of the Employment Services Partnership Ltd, as Pudsey Bear!!!! 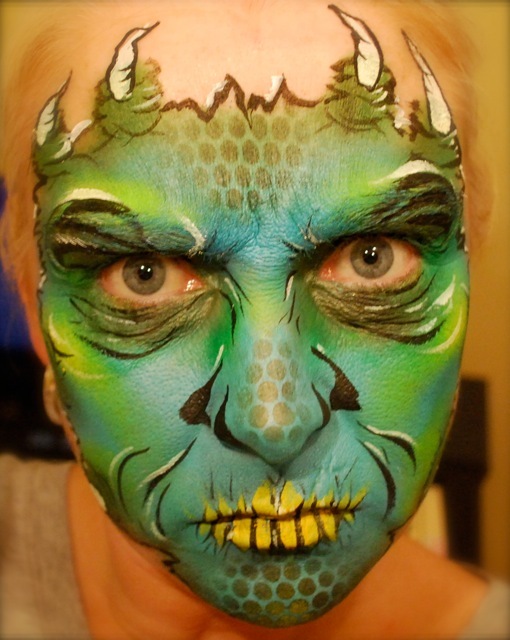 Russell is used to being a model for my creativity but on most occasions this is for extreme special effects make up and horrific Halloween creations and therefore is not usually met with much objection! However, transforming my nearly 6ft hulk of a hubby into a cute yellow teddy bear wasn’t met with quite so much enthusiasm!!! I’m always up for a challenge so immediately set up a Just Giving Page http:www.justgiving.com/fascinatingfaces and got the message out on Facebook. Within an hour and a half my friends, colleagues, clients and fans had helped raise over £500 and the donations just keep on coming. 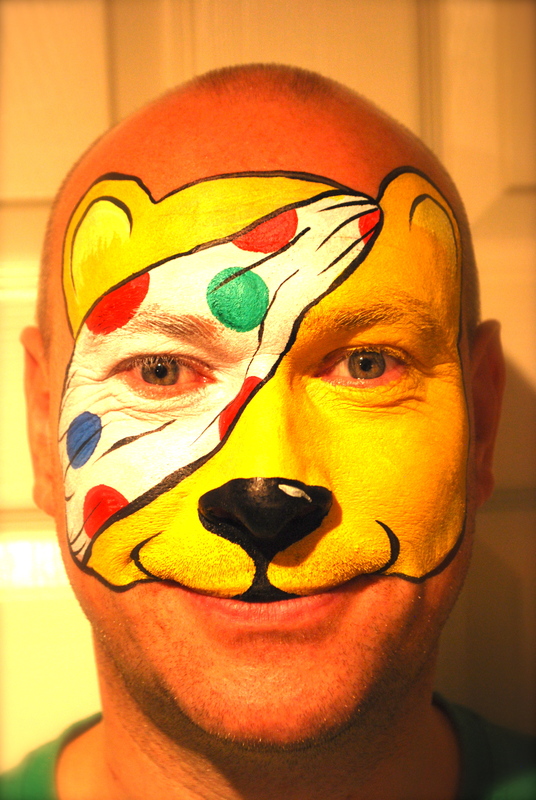 Russell, I think you will agree, makes a fabulous Pudsey and even got doused with glitter!!! Don’t forget we will be joining the team at Pine Ridge Golf Club on Sunday 27th November to help raise funds for yet another worth cause – Christopher’s Smile. We are delighted to announce that in October Owner and Lead Artist, Claire, was accredited with Level 2 Advanced membership of the FACE Association. 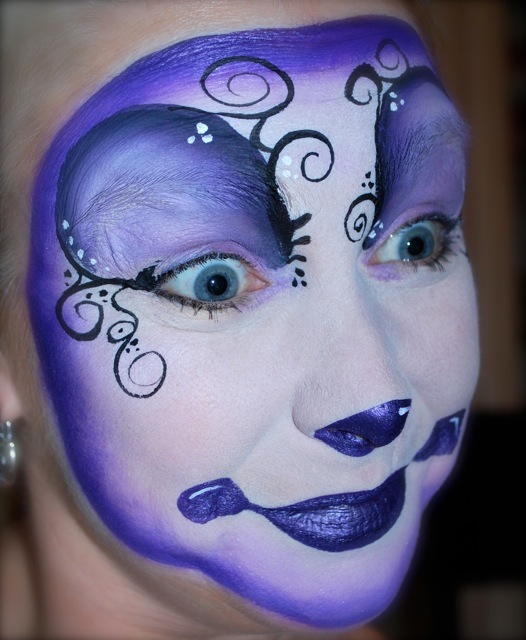 She has been a member of FACE for 3 years and decided to take on the challenge of the Level 2 qualification back in May. The aim of Level 2 is to demonstrate the applicant’s ability as a good all rounder and above the entry level that they entered FACE. Eight photographs have to be submitted – 6 design themes are compulsory and 2 are chosen from a list of suggestions; two of the faces must be completed during a booking and completed within 5 minutes. The assessors are judging the work based on the following criteria – original and creative work; excellent blending; crisp and varied line work; good colour choices and balanced features. Here are a couple of examples of the designs submitted. 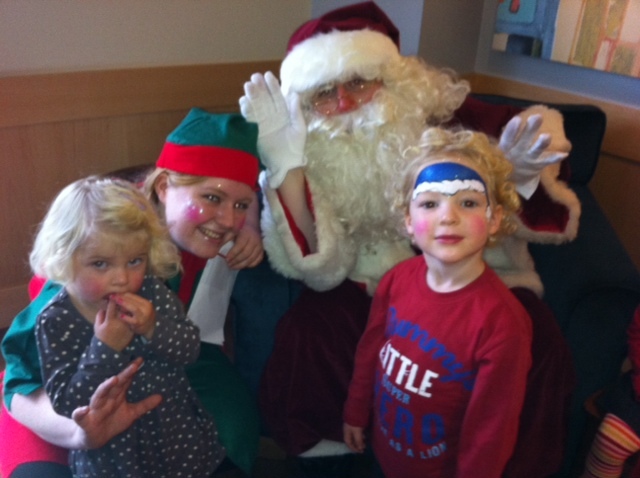 Santa and his elf will be having breakfast on Tuesday mornings 9.30am to 10.30am in Camberley town centre on the dates and locations listed below and he would love children to join him. 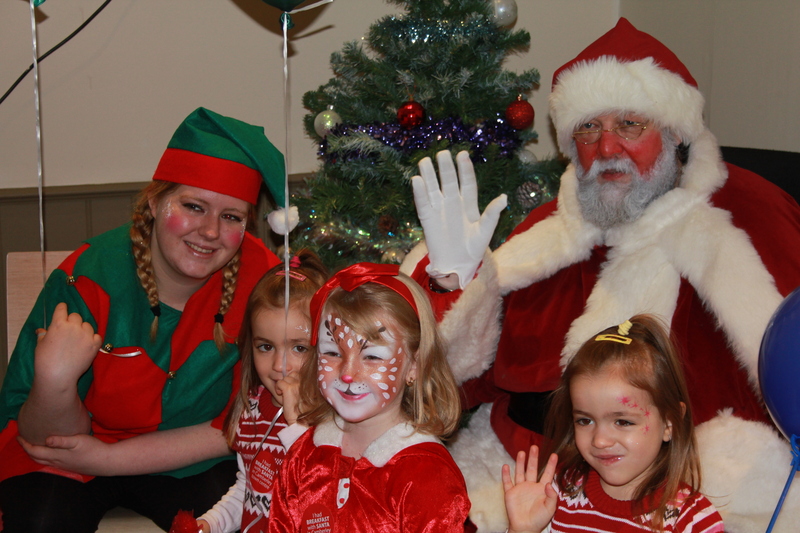 Tickets are priced at just £3 per child and include a breakfast/drink, gift from Santa, balloon, face painting (children under 3 may have arm painting only) AND a sticker. On Sunday 27th November 2011 Pine Ridge Golf Club will be holding a fun packed event to help raise funds for local charity – Christopher’s Smile. We would love to see some of your familiar smiling faces at some point during the day. The event is running from 10am until 4pm. 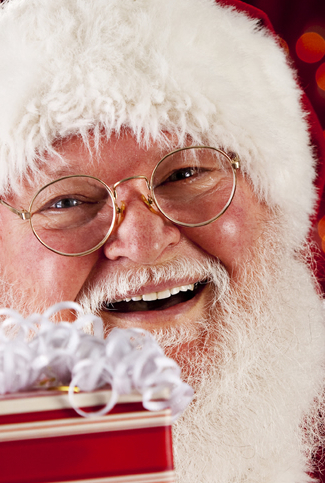 Christmas Fair with a variety of stalls (A small number of stalls still available for local suppliers.